Don't settle for less when it comes to protecting the things you love. 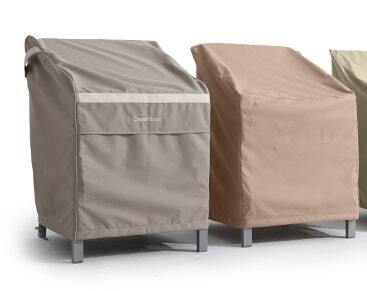 Covermates Elite Round Fire Pit Cover offers year round protection for all of your small patio items. 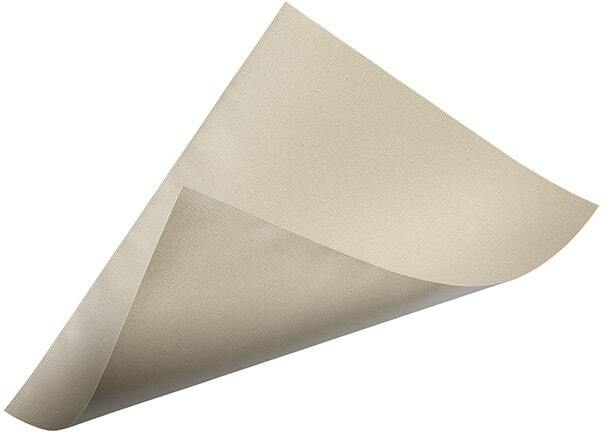 Also available in rectangular and square shapes, Coverstore has the widest selection of cover sizes in the industry! 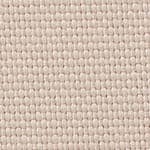 These covers are designed with 300 denier solution-dyed polyester, meaning the yarns are dyed prior to weaving to achieve optimal colorfastness overtime. 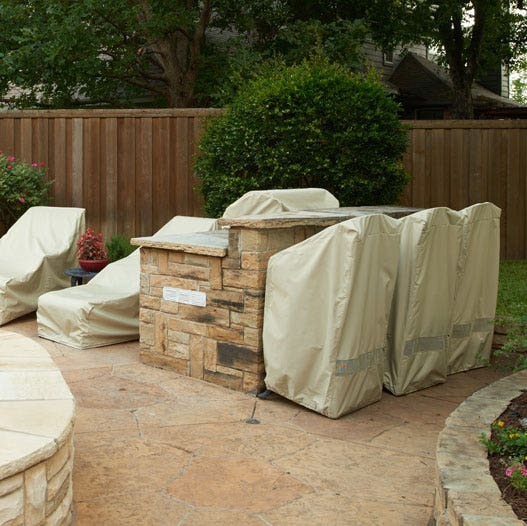 Elite fire pit covers are pre-treated to repel moisture and come with a discreet mesh vent and flap help facilitate airflow needed to block mold & mildew. 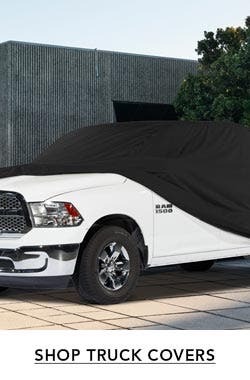 Features like an elastic hem and adjustable drawcord provide a snug fit, while a center buckle strap helps secure the cover in place. 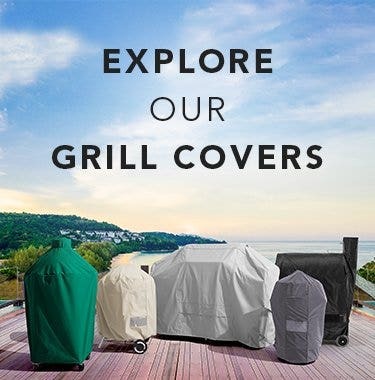 All Covermates Elite fire pit covers comes with an industry-leading three-year warranty so you can purchase with confidence. Great cover! I purchased one to try out. Once I saw the quality firsthand I ordered two more. I think these will be great covers for years to come. Well when the fire pit cover arrive , I was amazed by its appearance. The thickness of the material was beautiful. We’ve already had some snow and wind storms here and it has with held beautifully. Great quality and it works perfect. Very nice, good quality, well made. fast shipping. Ordered over the phone--the representative was very helpful. The cover came exactly when it was scheduled to come. It is a great fit and looks good. I will order again when I need another one. I hope to get 3 winters use from it. The delivery was quick. The cover for my fire pit fits well. Love the product!!! A well made cover!Will continue to purchase products from this company! 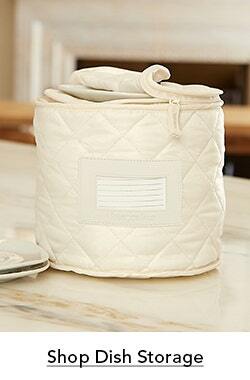 Excellent product and reasonably priced. This is my 3rd cover from Coverstore. I have found them all to be made from quality material and each has performed as expected. Fit was perfect , very good quality ! 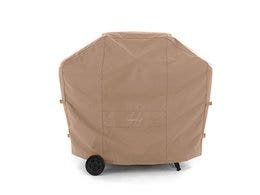 Just ordered storage bag for Christmas tree. Received order promptly, happy with products . This fits our firepit perfectly! The quality of the material is excellent and it is definitely rain proof as we had 2" of rain over night and the firepit was dry! Great product. Quality is far superior to what we had been using. Big concern for us is wind and the covers coming off, after 2 days of 50 MPH winds and rain I am glad to say no issues at all!! Will be ordering chair covers this week! Great product. 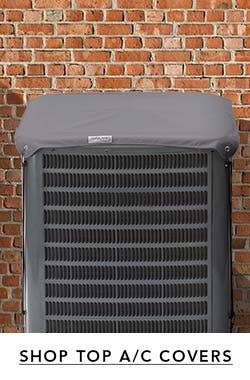 Strong fabric, nice looking, and we have a 43 inch measurement across the top. Wasn't sure the top would fit since it said 42 inches...but it does. Nicely! quick delivery, fit perfectly and looks great. great quality as usual. fits perfect, elastic bottom curls under the bottom for full protection. Great product! The fit was perfect even though my fire pit was a little shorter the cover is doing its job. Material looks good and the shopping experience was a breeze. Great cover...just what I needed! 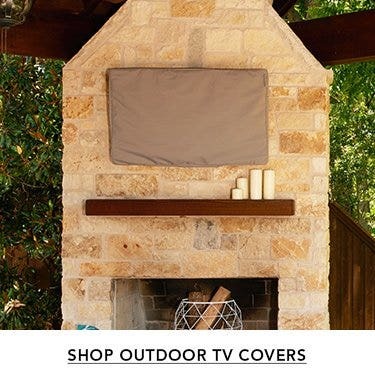 this fire pit cover is tops! it’s fit is perfect and really looks great. and then there’s the quality that no one else has except cover store! 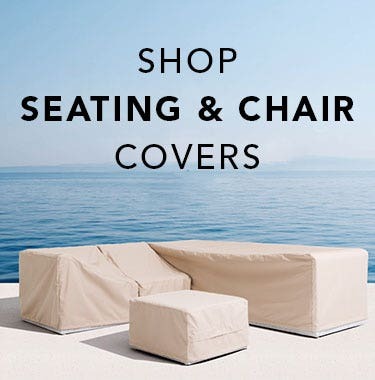 all our patio, porch and lawn furniture are covered from cover store! Perfect fit for our 42 inch fire bowl. Quality cover and looks great. Round fire pit cover arrived quickly and is an exact fit for my fire pit. 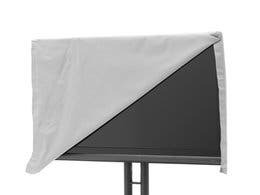 Cover is of high quality material, waterproof and easy to remove and fold up for storage. Love Love the quality of this firepit cover!I would def recommend it!I think the price is extremely fair .I would def reorder again! This is not the first time we have have ordered products from the Cover Store. Each time we have been more than pleased with the high quality of the product and how quickly we received our order. Getting ready to place another order today before winter arrives in the northeast. Perfect size, fit and look for a custom built outdoor gas fire pit. Wish I bought it sooner! Happy with our new cover. It looks really nice and with the recent rain the water beads up and rolls right off. Would recommend. Love it, no one else had the mesh vents, which will definitely help with preventing mildew growth. Excellent price and quality. Always worry a bit about how the cover will fit, but this is the sixth cover I have purchased and none of them could fit better. We live in an extreme climate with temps already down to -14 F this year and a lot of snow. Zero problems with any of the covers so far. Would recommend without hesitation. 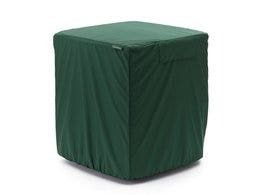 The Elite version of the firepit cover is strong and resists the winters we have here in NY. We've purchased the lesser strength covers for some other pieces of outdoor furniture only to see them rip.  The material used in the Elite & above is strong to withstand the elements. Arrived promptly, well packed, in perfect condition.Looks good on my patio fire pit.Cold blowing rain last night didn't bother it.Will update in the spring after I see how this wintered.Would purchase again.Nice product.Happy Holidays. Red cup! This is second cover for an item I have ordered from Cover Store. Both items fit perfectly with no problems. Items look and feel solid. Product came as described. It fit our fire pit very well and was of excellent quality. The drawstring and elastic made the fit custom. No one else out there that I could find which has quality and utility of this cover. I'm glad I found the Cover Store! It's exactly what I expected. I only gave it 4 stars because the size is too big, which I knew, but the next size down was just a hair too small and wouldn't fit. I needed a size in between that wasn't offered. 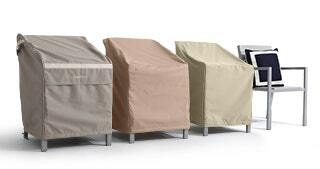 Used these to cover our round papason chairs. They worked beautifully! 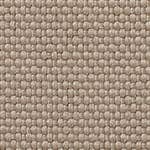 The material is durable, and true to size. It fits perfectly over my firepit. Repels the water very good. Very satisfied with my cover.